4 BEERS. 1 SURVIVOR. YOUR CALL. You know how it works, each year, we brew 4 to 5 prototypes in our Playground, Dansaert. Then, through several tasting sessions and one big final event, you vote for the one you want to be featured in our “All-Star” range (permanent beers)! But there’s a catch, only one can survive! 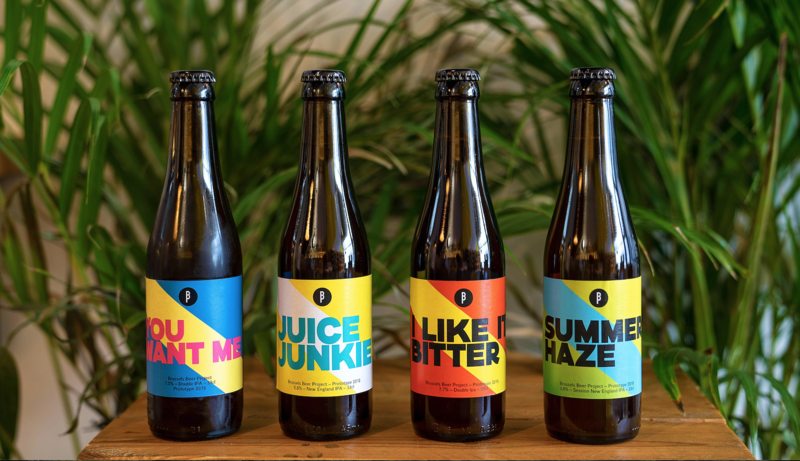 After Delta, Grosse Bertha, Babylone, Jungle Joy and Wunder Lager, who’s next? 4 beers of the month, 1 survivor. This year, no blind taste but a tight fight between 4 of our best beers of the month of 2018. The contestants are: Juice Junkie (New-England IPA, sweet and exotic bomb), Summer Haze (Session New-England IPA, low in alcohol, exotic and extra rich in taste), I like it Bitter (double IPA, a thirst-quenching bitterness, resinous aromas of citrus), You Want Me (double IPA, aromas of passion fruit). More about the beers. Let’s meet at Kanal-Centre Pompidou on the 11th of May for the final tasting and the election of our new All-Star! On the menu: beers, food, nice music and a ton of sun! You have the possibility to take part in the private tastings in 11 different bars in Brussels, Antwerp, Namur, Paris and Tokyo! Sessions will be hold in English, French and/or Dutch. Hungry? Cheese and bread will be served during the tastings!